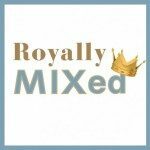 Get Royally MIXed on Thursday, May 17, at The PALACE RESTAURANT & SALOON! Mad, Bad and Dangerous-to-know Chef JOSEPH WREDE will be rocking smash sliders on the gratis grill in the outdoor courtyard and the kitchen staff will be cranking out culinary concoctions like Mezcal Chocolate dollops and other craziness. DJ FLOBUG will have beats at your back, your front and everywhere in between. CHRISTINE WILTSHIRE and the Saloon savants will be MIXologizing a creative list of cocktails with character…and will be happy to pour a FREE red wine, white wine or weather-beating WATERMELON MARGARITA, customized for your gorgeous gullet. Of course in order to nab that FREE drink, you’ll need to fill out a quick survey (either at the door or ahead of time at mixsantafe.com). AND you’ll get to cast your WOODEN NICKEL vote for CROWD FAVORITE among the selected finalists in the $10,000 BizMIX business plan challenge. Who’s got the bangin’est, biggest, boldest idea for a new venture in the City Different?–You decide! The entire SWANK saloon, POSH dining room and UNCORKED Courtyard is giving way to MIX for one night only and it is going to be EXTRA LARGE and distinctly ROYAL. But most of all, thanks to all of YOU who keep turning out, turning it up and making MIX your own.